Researchers in the Netherlands have discovered a parallel connection between heart and brain health. Results from a recent population-based study suggest that when one begins to decline, the other becomes susceptible as well. Study researchers from the Department of Epidemiology and Radiology at Erasmus University Medical Center in Rotterdam, Netherlands, looked at data from 2,000 participants: 57.4% of subjects were females with a median age of 56.6. Participants with heart disease, strokes, or dementia were not counted in the study results. Doctors performed brain MRIs on study participants to determine the health of their brains and to look for markers of brain disease, such as loss of brain volume, lesions on the white matter of the brain, and microstructural changes. These results were able to indicate whether there were areas of cells damaged by injury or disease. Participants also had their blood tested; tests measured the levels of a protein called NT-proBNP, a protein used to detect heart disease. Scientists discovered a greater level of this protein was also an indication of having a higher susceptibility to brain disease. 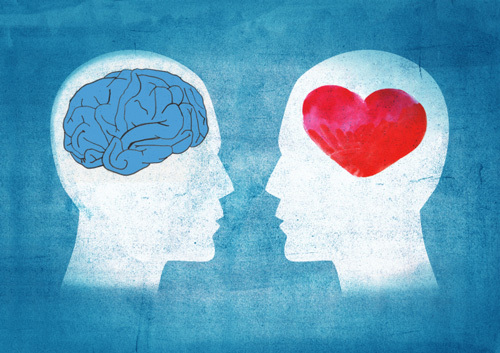 “This implies that the heart and brain are intimately linked, even in presumably healthy individuals, and informs us importantly about development of disease as we age,” said Dr. Zonneveld. Natural ways to help prevent brain and heart disease include cardio exercises (it keeps the blood flowing to the brain and it is good for the heart) as well as avocados (contains health fats that protect the heart from inflammation and keeps the brain sharp). Heart disease, specifically, is one of the top killers in America. But recent research shows how pomegranates and pomegranate juice can help reduce cholesterol, lower blood pressure and protect against heart disease. Pomegranate juice is rich in electrolytes (i.e. sodium and potassium) which promote heart health and helps relax arterial walls. This essentially allows more blood to pump easily throughout the body. Other polyphenol-rich foods also said to provide great “heart-health” success, wine, dark chocolate and coffee. When the arteries are relaxed, it becomes easier for blood to pass through and less intensive on the heart. Prehypertension occurs between 120-139 (systolic blood pressure) and 80-89 (diastolic blood pressure); so it’s important to maintain a healthy blood pressure—120/80 or below—to help reduce the risk of heart disease. Along with pomegranate juice, exercising and following a healthy diet complements a heart-healthy lifestyle. Salerno, A., “A Healthy Brain Needs a Healthy Heart,” The Institute for Natural Healing web site, January 12, 2016; http://www.institutefornaturalhealing.com/2016/01/a-healthy-brain-needs-a-healthy-heart/. Radiological Society of North America, “Link found between early-stage brain and heart disease,” ScienceDaily web site, December 2, 2015; http://www.sciencedaily.com/releases/2015/12/151202084224.htm.